The Springfield Museums’ popular lunchtime lecture series Museums á la Carte announces its spring lectures. Bring a lunch to enjoy during the program. Cookies and coffee are provided. Members $2, nonmembers $4. Free onsite parking is available. 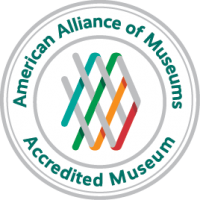 For more information about Museums à la Carte, call 413.263.6800, ext. 488. American Impressionist painters delighted in depicting gardens as places for rest, rejuvenation, and creative experimentation. Gardens and the emerging field of garden design became avenues for American Impressionists navigate the social shift of the progressive era. This lecture will explore the art of Childe Hassam, Willard Metcalf, Matilda Browne, and other Impressionists for whom the garden was a muse. Amy S. Dane helped her father, an Iraqi Jew, publish his memoir. Jacob B. Shammash was born into a vital and thriving 2,600 year old Jewish community in Iraq that dated back to the first Babylonian captivity in 586 BC. When Shammash was a young teenager, one third of the population of Baghdad was Jewish. Only a couple of decades after the establishment of the state of Israel in 1948, that same community ceased to exist, obliterated through persecution and exodus for survival. In his book, Shammash describes his idyllic youth in a land of date palms and orange groves. The third of nine children from what was a wealthy business and landowning family, Shammash emigrated from Baghdad to the United States to attend college in 1947. He had no idea that his timing was fortuitous, just before the situation of his people back home became dire. Not all of his family members were as lucky. 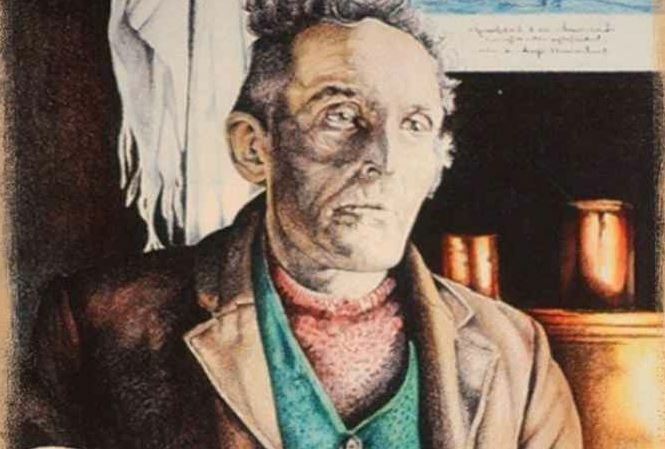 The Blasket Islandman is a fascinating biography of Tomás Ó Criomhthain, one of the giants of Irish language literature. This book tells, for the very first time, the full story of his life on Ireland’s Great Blasket Island. It also describes the forces that influenced his writing and details his truly impressive legacy. Ó Criomhthain wrote two acknowledged Irish classics, Allagar na hInise (Island Cross-Talk) and An tOileánach (The Islandman), as well as two other published books and more than 200 pieces of poetry and verse. His writing is a towering achievement, especially in the context of the trying circumstances of his life. Ó Criomhthain’s writing documents the life of long-gone Blasket community for posterity. In the process, he achieved a measure of immortality for himself. Eighty years after his passing, he remains the genuine “Blasket islandman” and he will be for all eternity. With the help of Education Director, Kirsten Lipkens, Rhodes will give a brief history of the 75 year history of the Springfield Symphony Orchestra. Some of the symphony’s archives which are housed at the Springfield Museums will be on display. Rhodes will take us to the future by announcing plans for the next year’s season. The Symbolist School of painters in France is little known, and even less appreciated. One of its least known figures was Gustav-Adolf Mossa (1883-1971) who spent more of his life as principal curator of the Nice Musée des Beaux-Arts. His own paintings are quite remarkable, visually engaging, and thematically troubling. This lecture will seek to shed light on a master symbolist artist. Historically, employers considered domestic violence as strictly a personal issue. However, incidents involving domestic violence are occurring at an alarming rate and seep into the work place. Therefore, many American businesses view domestic violence as a work-place issue. The Department of Labor reports that victims of domestic violence lose nearly 8 million days of paid work per year in the U.S., resulting in a $1.8 billion loss in productivity for employers. Today, every employer needs to have a policy that addresses the issue of domestic violence. During WWII, Hitler hoped to create the greatest museum of Germanic Art in Linz, Austria. This talk will focus on the very central place art held for Adolf Hitler, Hermmann Göring, and Alfred Rosenberg. Together, they developed a program of looting European art and material collections. The Nazis were profligate in their “collecting” practices. Hundreds of thousands of objects were taken from public, church, and private collections. Some were destroyed or exhibited in ridicule as “degenerate,” others went into the private collections of Hitler, Göring and others, and still more ended up in public collections in Germany and Austria or were hidden in salt mines. Objects from France ended up in the Jeu de Paume where Rose Valland created a second, secret inventory that was instrumental after the war in reuniting objects with their original owners. After the war, the Monuments Men, art historian soldiers, were assigned the task of restituting objects found in various hiding places. It is a task that has continued through today. In this multimedia presentation based on his newly published co-authored book, New York Times bestselling author Michael J. Tougias first chronicles the thirteen harrowing days of the Cuban Missile Crisis and then outlines the steps President Kennedy made to reach a decision on a course of action. Special emphasis is given to the heroes of the crisis: the U-2 pilots who flew unarmed missions over Cuba. Most people don’t realize one of our pilots was shot down and killed over Cuba, almost leading to the start of WWIII. Tougias will show slides of the events and discuss four lesser known incidents that put the world in peril. The moon landing has been called one of the most significant events in the history of mankind. Why was it important for the United States to be the first nation to put men on the moon? Who were the key individuals in realizing this goal? How did it happen, and where do we go from here? After new trade agreements were struck between Japanese and western merchants in 1853, a fascination with all things Japanese swept Europe. Throughout the second half of the 19th century, many western artists sourced inspiration from aesthetics of Japanese art, especially woodblock prints. Writing to his brother from Antwerp in 1885, Van Gogh explained that he had pinned a number of Japanese prints to the walls of his studio. This lecture will explore Van Gogh’s interest in Japanese prints and their influence on his art. *Followed by a docent led Continuing Conversation.